The Thompson Funeral Home got its start in 1937 in Montpelier when Gene Thompson purchased a residence on Main Street, which is the current location. An addition to the home was made almost immediately after he purchased it. Another addition was done in 1953 making it possible to have two viewing areas and a casket selection room. Then in 1941 Gene purchased the funeral home in Pioneer from Hoy Myers. At that time the business was located on Baubice Street where the former Antique Mall is now. Later the business was moved to First Street where it is located today. Gene and his wife Edla operated the two funeral homes for 40 years when at that time their son Jim purchased the two homes from them. Gene continued to be involved with the business for a number of years after he sold it to his son making it to over 50 years of service. From 1979 until the present Jim and his wife Janice have operated the two funeral homes. Additional properties were acquired to provide both funeral homes with ample parking. 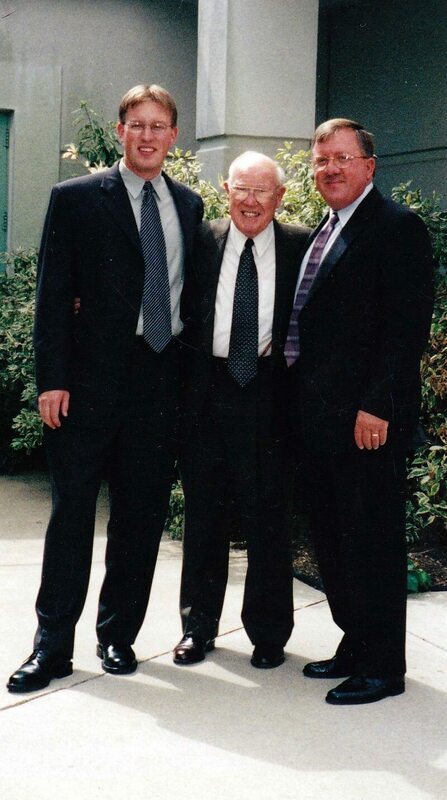 Then in 2002, Jim and Janice’s son Nathan joined the family business making it now the third generation of Thompson’s to operate the funeral home. Nathan brings to the funeral business knowledge of new and innovated ideas and a good repoire with families through their loss.